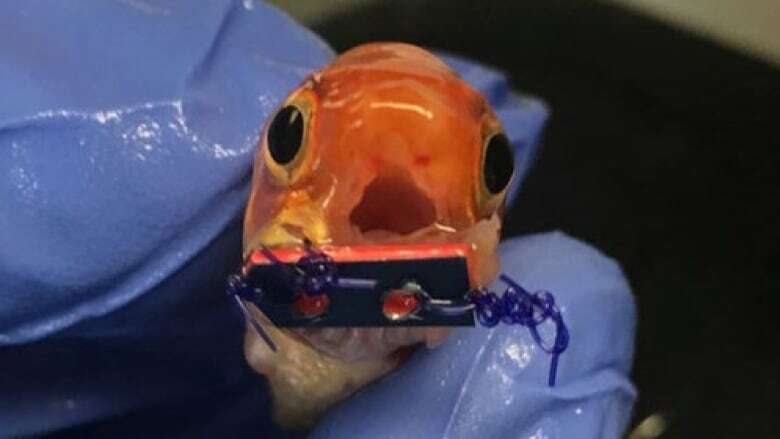 Here's a goldfish with braces. You're welcome. Just weeks after photos of a Michigan dog with braces went viral, veterinary orthodontics are in the news(feed) once again. This time, though, the patient is a goldfish. A standard orange goldfish. 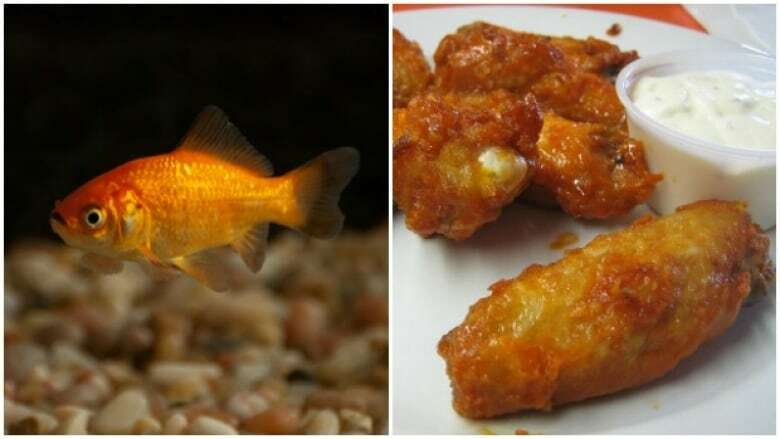 The kind who lives in a bowl, retails for roughly 27 cents, and sort of resembles a Buffalo chicken wing when you squint and really think about it. His name is Mr. Hot Wing, and he's the first-ever pet of his kind to make headlines with a corrective dental appliance. Philadelphia's 6abc Action News reports that Mr. Hot Wing, who lives in Allentown, Pa., was born without a lower jaw bone, which makes it impossible for him to hold his mouth open. Because of this, the fish suffers from breathing and eating difficulties. Rather, he did before his owner brought him to Dr. Brian Palmeiro at Lehigh Valley Veterinary Dermatology. Palmeiro, described by Action News as "the fish doctor," reportedly performed surgery on Mr. Hot Wing to open his mouth. Then, after conducting "a lot of research" on the topic, he fashioned some custom braces out of a plastic credit card to correct Mr. Hot Wing's bite … or lack thereof. "Fish Braces!!??" wrote the veterinary clinic on Facebook last week under a post-op photo of its little patient. "Mr. Hot Wing came in today for trouble breathing and inability to eat. He was born without a lower jaw bone and his mouth could not stay open. Brian Palmeiro did surgery to open his mouth and created this brace to help his mouth stay open." Mr. 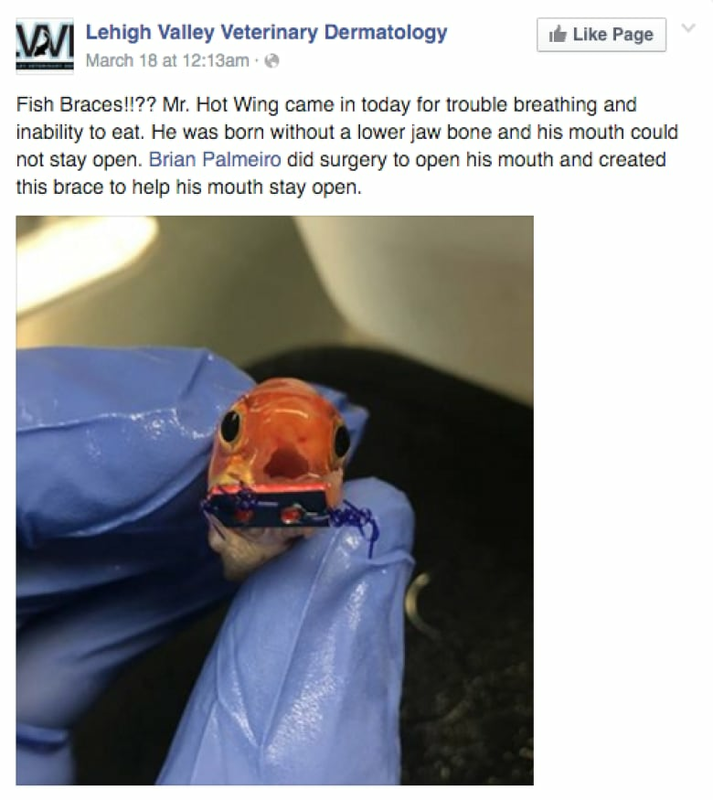 Hot Wing may be the first fish to get braces, in a matter of speaking, but he's not the first to benefit from Palmeiro's plastic card veterinary devices. The Lehigh Valley clinic shared a photo of a larger fish, who appears to have a makeshift splint on his fin, in November. All in all, Mr. Hot Wing's braces were said to have cost about $150. That may sound like an expensive vet bill for a fish that likely cost less than a dollar, but you can't put a price on family. And hey — it's still way cheaper than human braces. Or dog braces, for that matter.